Direct provision is offensive, a national disgrace, and just bad policy. 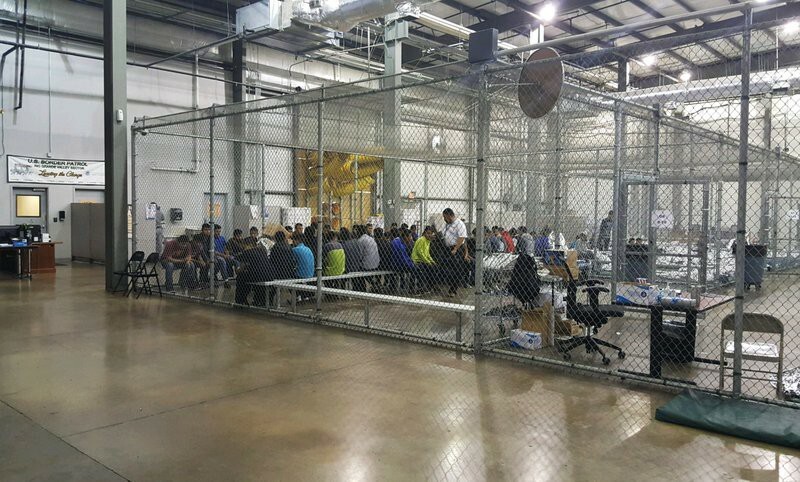 Today is World Refugee Day, and in light of the horrible scenes from the United States of children being forcibly separated from their families and caged, it is appropriate that people are calling out this horrific treatment of migrants. But before we get too carried away about Donald Trump’s latest outrage, let’s take a look at how we, the land of the one hundred thousand welcomes, treat our asylum seekers. Detention cages at the US border with Mexico. Photo: US Customs and Border Protection Agency. In 1999, when large numbers of people began seeking asylum in Ireland for the first time, direct provision was proposed as a temporary and emergency measure. The original goal was that asylum seekers would be housed and fed while the asylum system processed their applications — that process in no case to exceed six months. Nineteen years later, there are currently some 5,000 people in the direct provision system, and nearly 2,000 who have been in direct provision for more than five years. 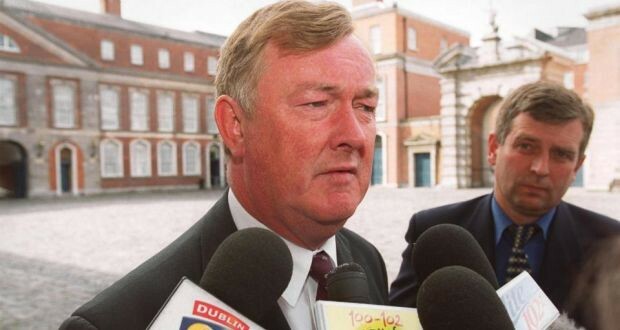 Fianna Fáil’s John O’Donoghue was Minister for Justice in 1999. Photo: Frank Miller, Irish Times. So what is direct provision exactly? Asylum seekers are housed in DP Centres, where they are afforded a place to sleep and every meal they eat. Just two of the 40-odd centres allow residents to cook their own food. On top of their room and board, residents in direct provision receive €21.60 per week. This is to pay for everything from phone credit to Christmas presents for their children. Children in direct provision receive half that. One box of medicine could wipe that out in one go. Children in direct provision are entitled to attend primary and secondary school, but not to progress to third level. Until very recently residents were outright banned from working or volunteering outside the centres, and the mechanisms to allow DP residents to work are still being worked out. 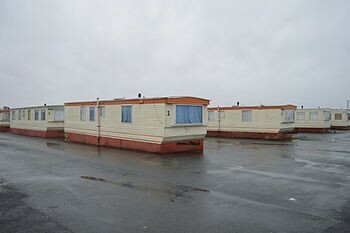 In short, to imagine what direct provision is like, imagine being stuck in a holiday camp in a foreign country for five years with no money of your own. 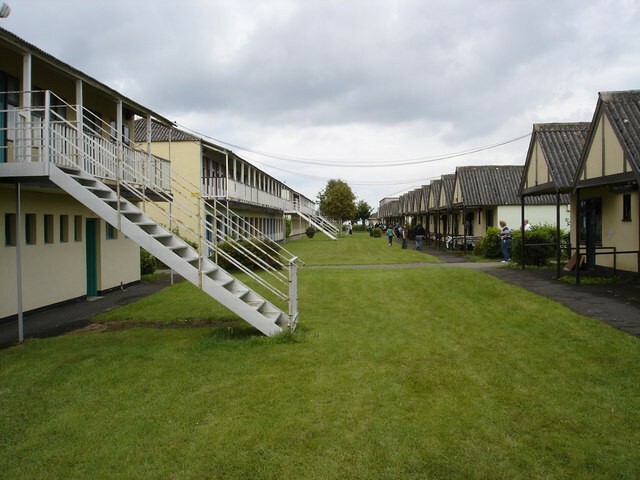 Incidentally, many direct provision centres are former holiday camps, like Mosney. Unsurprisingly the mental health of residents in DP is appallingly poor. The Irish Refugee Council reports that young people in direct provision are more prone to depression and suicide, lacking as they believe, any purpose or direction in their lives for as long as they stay in that limbo. Extended periods of unemployment are well documented as having a disastrous impact on future working lives. People lose the habits that make for a rewarding career as they wait endlessly for their next appointment. I recently met an extraordinary group of women living in direct provision, who had recently completed a jobs skills course offered by the wonderful network of migrant women in Ireland Akidwa. The fact that there will be no jobs for those women to do for the foreseeable future was a striking, and depressing realisation. Imagine spending five years in Mosney, without the redcoats. Photo Roger MacLachlann, CC BY-SA 2.0. As well as being a dehumanising, degrading and inhumane way to treat people who have come to Ireland fleeing war, persecution and very real threats to their lives, the sad fact is that direct provision is terrible policy. 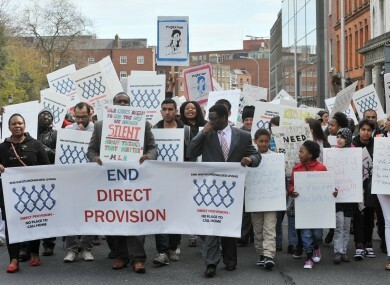 End Direct Provision demonstration in 2013. Most alarmingly of all, social isolation breeds crime and, in the worst cases, terrorism. While the absolute number of ISIS fighters traveling to the middle east from Ireland was around thirty, compared to a Muslim population of about 60,000, that figure is an outlier by international comparators. A systematic analysis of foreign fighters volunteering with the so-called Islamic State by researchers at Northwestern University in 2017 noted that Ireland provided a significant number of fighters compared to the relatively small size of our Muslim population. Ireland, along with Belgium, Finland and other wealthy, European countries argue the authors, should in fact be doing everything we can to aid the assimilation of new arrivals into Irish society and culture, not perpetuating the isolation of systems like direct provision, where people are actively blocked from integrating. Let’s truly celebrate refugees today, and end the national shame that is direct provision. Aengus Ó Maoláin is the Social Democrats’ candidate for the next general election in Dublin West. Social Democrats election candidate in Dublin West.